This morning, a group of community advocates attempting to help people save their homes from foreclosure were forcibly evicted from Cobo Hall, where the “Show Cause Hearings” were being held. This year alone, 62,000 Detroit properties are in tax foreclosure in the city of Detroit, and thousands of people are converging on Cobo Hall this week, desperate to save their homes. The Show Cause Hearing is a weeklong event that in intended to provide people an opportunity to contest their tax foreclosure. In practice, they are an opportunity for the county to collect back taxes. The government does not make a point of reminding people of their options- there are no Miranda Rights for tax foreclosure- which is why non-profits, community groups and other advocates are needed in this process. That is the same man descended from the 4th floor of the convention center red faced and furious. He to demand the removal of the activists who were providing outreach to the public. He tore the sign that read “Show Cause Here” the area where the volunteer activists were helping people to fill out forms to object to their foreclosure and request property reassessments. He shouted at the group and demanded from the security and police (which had shown up in force) that the individuals be removed from the premises. Security responded to this request, despite the fact that the First Amendment grants the right of individuals to distribute leaflets or ask members of the public to sign a petition. The ruling of Norfolk v. Cobo Hall was a court decision in 2008, which specifically applies this right to public events at Cobo Hall, yet the activists were removed anyway. At no time did activists discourage individuals from seeking help from the Wayne County Treasurer or other non-profit groups offering support at the Show Cause hearing. Hundreds of people who chose to contest their foreclosure have completed forms provided to them by the Detroit Eviction Defense-led coalition. Chief Justice Columbo will hear these grievances together in a single court case on February 18th and 19th during the Judicial Show Cause Hearing. Activists also provided forms to help people request that their property values be reassessed so that, once they save their home from foreclosure, they are able to afford to maintain sustain ownership over time. Property taxes are based on property values, and those values are grossly over assessed in Detroit due to plummeting property values. Those who complete requests for property reassessment will have a chance to meet with the Board of Review on select dates in February and March. If successful, their property values will be reduced and their property taxes will be reduced accordingly. Approximately 62,000 properties in Detroit face tax foreclosure this year, and it is all but impossible to directly access at-risk people individually. 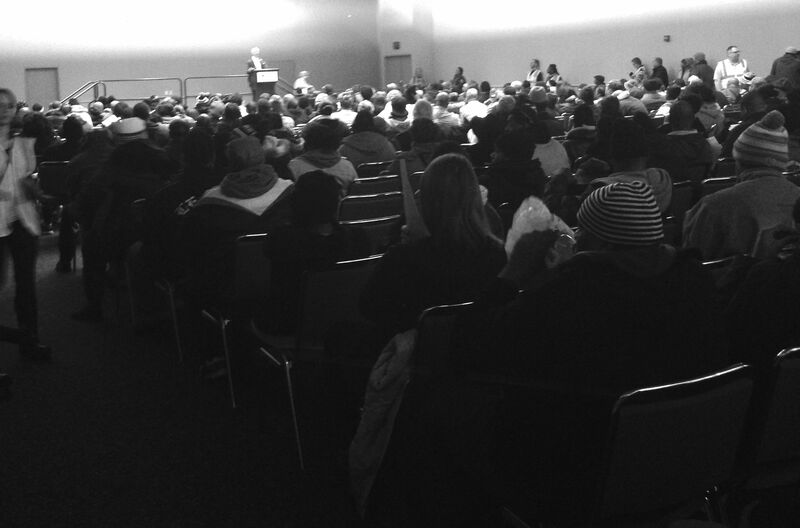 The Show Cause hearing at Cobo Hall is a significant opportunity to provide necessary outreach and support to people in foreclosure. Objections to foreclosure must be submitted by February 5th, and request for reassessments must be submitted by February 16th, so time is of the essence. Any foreclosures that are not resolved will go into effect April 1st. If these foreclosures go into effect, they may lead to mass human displacement and property blight, causing irreversible damage to individuals and the city at large. The fact that following legal procedures, as laid out by state and local government is seen as incendiary is a concerning indication of what is happening on the front lines of tax foreclosure in Detroit. There are new laws and new attention focused on this issue in ways that will enable many people to avoid foreclosure, but there are many people who will fall through the cracks. If even half of the 62,000 property fail to prevent foreclosure, Detroit will still set nationwide historical records for foreclosure in a single year. All actions that the activists offered people with were fully lawful and were, in fact, assisting people to follow the legal procedures laid out by the state and local government. 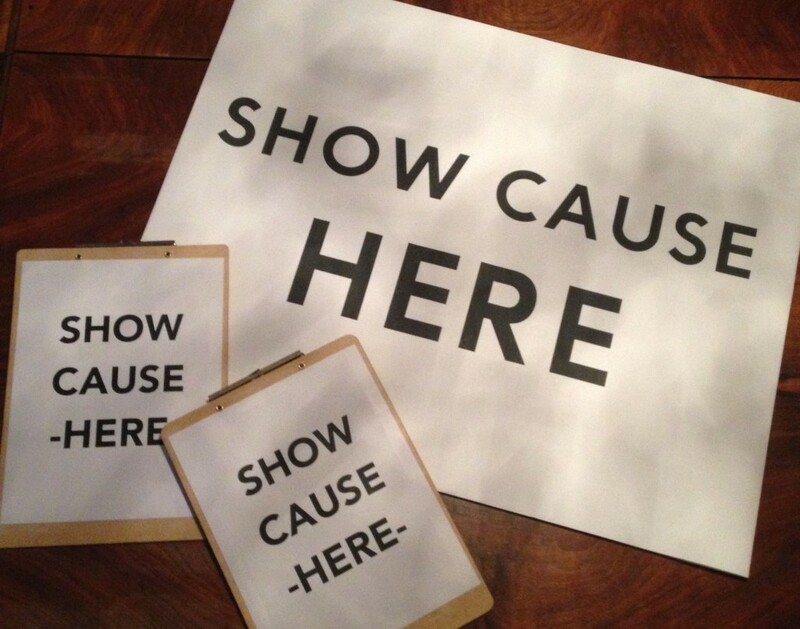 For helping people follow the legal procedure in an orderly way, for assisting in the process of “showing cause” at the “Show Cause Hearing” we were kicked out.